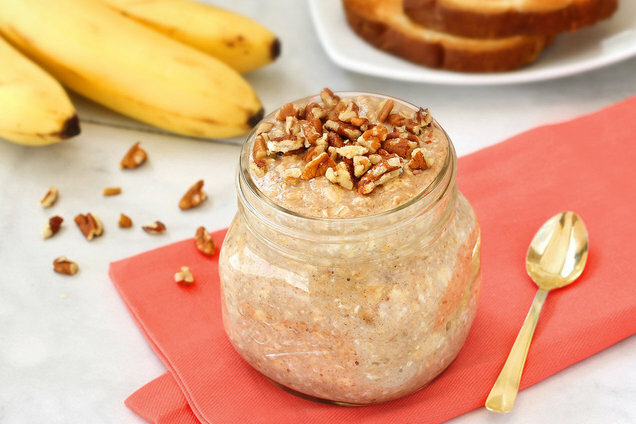 In a medium bowl or jar, combine all ingredients except pecans. Mix well. Introducing What’s Chewin’? -- the Hungry Girl Facebook Community! 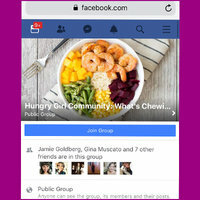 The Hungry Girl Community: What’s Chewin’? is the PERFECT place to connect with fellow food lovers, calorie counters, and recipe experimenters. I’ll be weighing in regularly, and so will members of the Hungry Girl team! DON’T MISS OUT... JOIN NOW! 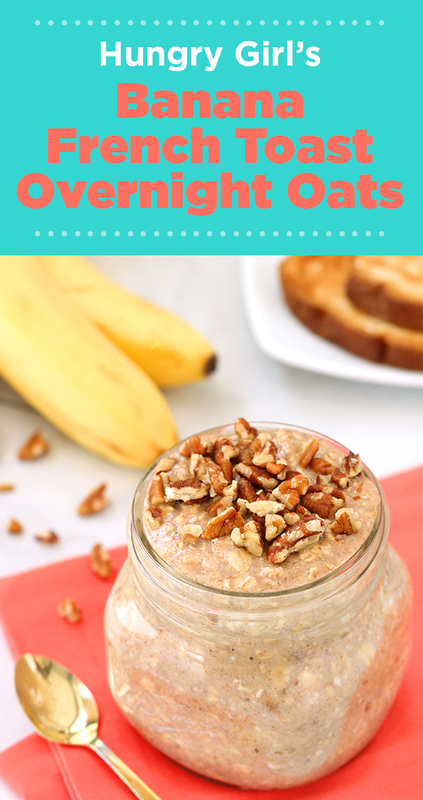 Hungry for More Healthy Overnight Oats? Happy National Chocolate Pudding Day, June 26th. This Chocolate-Banana Bread Pudding for two is made in the microwave... So easy! Make sure your pals are eating good breakfasts! Click "Send to a Friend" now.